Tax law can be complicated and frustrating at the best of times but if HMRC is pursuing an investigation against you, you are likely to feel worried and under pressure, particularly if there is a suggestion of fraud. As a result, some people may rush into decisions which are not necessarily beneficial to them. In this guide, we will investigate why it is important not to jump straight into an application for Code of Practice 9 or CDF. Responding efficiently can be helpful in HMRC investigations but take professional advice before doing so. What is the difference between COP8 and COP9? 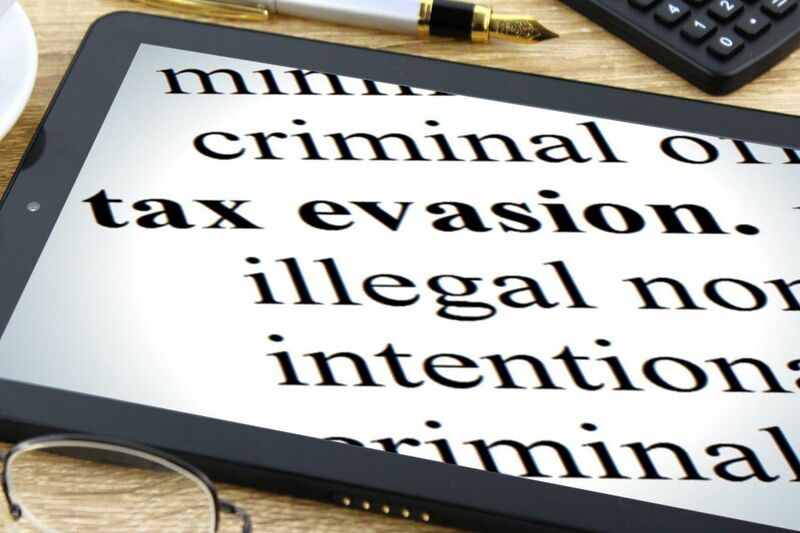 HMRC will usually launch a COP8 investigation if they suspect that you may have committed tax evasion, but do not have enough evidence to prove it. In a COP8 investigation, you will be required to provide further information regarding any historical tax arrangements. The process of giving this information makes a COP8 investigation long, complex and time-consuming. Therefore, it can make a lot of sense to seek professional help. If during a COP8 investigation, HMRC uncovers the proof that they suspected existed, this will trigger a COP9 investigation. If HMRC has enough proof to present evidence of tax evasion, then you will be sent a COP9 letter. This may follow on from a previous COP8 investigation. COP9 investigations are only launched when HMRC have a suspicion that you have committed serious tax fraud, usually in excess of £100,000. This fraud can be historical and date back as far as 20 years. Once you are in receipt of a COP9 letter, you have 60 days to reply. Under COP9 notice, you have the option to own up to your guilt and pay what you owe as well as a penalty amount. If HMRC is happy that you have paid everything that you owe, then you may escape criminal proceedings. This is however not a foregone conclusion. Once you are under a COP9 notice, you are at high risk of prosecution and so should respond very carefully and avoid trying to further conceal any information. What is a Contractual Disclosure Facility? You may make your statement in response to a COP9 letter using the Contractual Disclosure Facility or CDF. This is one way of attempting to avoid prosecution. You should, however, be fully informed about the implications of choosing to use CDF. You will only be issued the option of CDF if HMRC suspects that you owe £100,000 or more on unpaid tax bills. You cannot choose CDF, it must be offered by HMRC – in some cases following a request by yourself. CDF is in effect a guarantee that you will not be prosecuted for any tax evasion or fraud that you admit to as part of the disclosure. If you choose to use the CDF, then you should return this within 60 days after receiving it to avoid its rejection. If the CDF is rejected, then the tax fraud will be investigated, but you will not be protected from prosecution. You should understand that you are within your rights to decline the CDF. If you feel confident that you have not committed any act of fraud, then there is no need to complete this CDF. An investigation will take place, but if you have nothing to hide, you may wish to decline the option. You should, however, be represented by a professional who is familiar with the investigation process. You should be aware that COP9 CDF is a one-off opportunity. If you continue to commit tax fraud or evade your taxes, then you will not be offered this option again and may face prosecution. Why does HMRC think that I am evading tax? HMRC has identified a lack of correlation between your tax submission and other data found on social media and other databases containing personal and commercial information. Often these triggers are found by computers and then investigated by a special investigations unit who will analyse your tax submissions as well as holding interviews with you and looking at any further communication between yourself and HMRC. At the point at which HMRC ask to see your paperwork or hold an interview with you, you may require personal representation from someone who specialises in tax law. Should I apply for CDF under code of practice 9? Some people after being issued a COP8 letter, choose to jump straight to COP9 and request a CDF. This is because they wish to seek the immunity from prosecution offered by the CDF. We strongly recommend that you do not take this course of action unless advised by a professional and there are several reasons why. Under a COP8 investigation, you will be subject to a limited and specific period of enquiry. Once a COP9 letter is issued, HMRC can go back through your tax affairs for the last 20 years. COP9 disclosure is a one-off opportunity. If you face the same problem again in the future than you face prosecution. Professional fees for COP8 are lower than COP9. Entering into a COP9 investigation is a costly business in more ways than one. It is not mandatory to enter a COP9 investigation after receiving a COP8. HMRC may not discover anything which leads to COP9, therefore making further investigation unnecessary. You can disclose all material facts or revise your tax calculations within scope of COP8 Investigation thus saving time and money. Even if you sign and return a CDF form within the 60-day time limit, it may be rejected by HMRC. You could therefore still face a COP9 investigation and subsequent prosecution. COP8 investigations are specific to your business. A COP9 investigation is not subject to the same limitations and is much more intrusive. It can be conducted against all the people associated with the taxpayer for the last two decades. Can I disclose fake invoices used in business under COP9? If you have used fake invoices to minimise your tax or VAT bill, you should mention that in CDF. Code of Practice 9 is about cooperation with HMRC and honesty to disclose every irregularity in past 20 years. If you have received COP8 letter, you can disclose material facts to HMRC Inspector conducting inquiry and calculate tax payable instead of making an application for COP9. Using fake invoices or any other false statements in accounts and tax compliance may lead to violation of other laws. For example, if business is regulated by FCA, it may become a criminal inquiry and making disclosure under COP9 will not guarantee an immunity from prosecution. Under these circumstances, if tax avoided is used for personal gains, assets may be confiscated or held under proceeds of crime act. If you have received Code of Practice 8 Letter and you wish to disclose your tax affairs to HMRC, talk to us before you apply for CDF under Code of Practice 9. If you have already applied for Code of Practice 9 or have been issued with a COP9 letter, we offer first meeting absolutely free of charge to give you an understanding about the nature and complexity of investigations.